Courtyard Dayton North offers a perfect balance between work and relaxation for business and leisure guests. Our hotel in Dayton, Ohio is conveniently located at I-75 and I-70 only 4 miles from Dayton International Airport and within 9 miles of Wright-Patterson Air Force base, Dayton Convention Center, University of Dayton, and Wright State University. Corporate and business travelers will enjoy our hotels close proximity to Braun Medical, Cintas, General Electric, IMI-Precision, AT&T, Abbott Nutrition, Cargill, Caterpillar, and more! At our hotel in Dayton, guest comfort is our number one priority. Our rooms include free WiFi, spacious work areas, comfortable bedding, and HDTVs with premium channels. 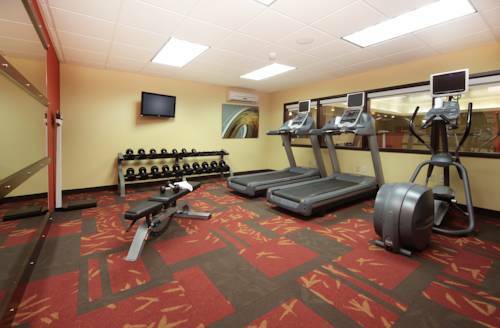 Kick start your day with a workout in our on-site fitness center. Feeling hungry? The BISTRO is your destination for refreshing breakfast choices in the morning, and a variety of dinner and cocktail options in the evening. We look forward to being your choice of hotel in Dayton, OH.